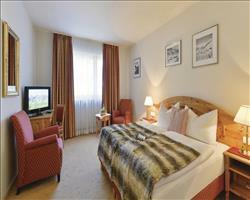 Almost all of the accommodation in Zurs is in hotels, with quality very much being favoured over quantity. Most hotels are four or five star properties, and the standards are as high as you’d expect. 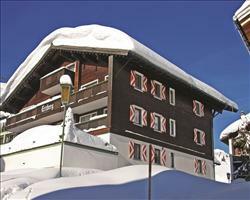 Ski in/ ski out properties are no longer just a pipe dream when you’re staying in Zurs. 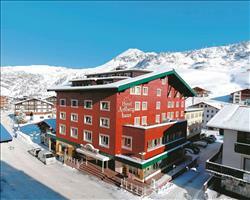 The five star Sporthotel Lorünse is as close to the slopes as it’s possible to be, and the traditional exterior is a truly welcome sight in inclement weather. You’ll also find yourself right in the centre of the resort- none of the amenities are more than a few minutes’ walk away, so your legs will be well rested for the slopes. 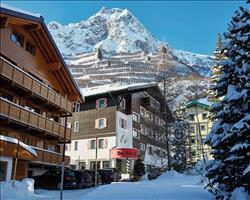 Although a more budget friendly option, the atmosphere at the Hotel Erzberg is incredible, and the location’s still first rate- less than 50m from the centre of the resort and the closest lift. If you choose one of their half board packages you’ll only have to fend for yourself at lunchtime- though many guests get by on just breakfast and dinner to make the most of their time on the slopes. Book a full board package that includes flights and you’re assured of having a relaxing holiday- from the moment you’ve checked in at the airport everything will have been taken care of for you. The ski pass covers five local resorts, with St. Anton being the most famous; book a self drive package and bring your car as although the ski bus is free, it is often crowded, so travel in comfort in your own vehicle. See all of our Austria Ski Hotels if you want to consider more resorts on top of Zurs, or use our main Ski Hotels hub with its advanced filter tool to search thousands of properties worldwide.